Today is my mother's 68th birthday! I thought I would celebrate by sharing some photos of her riding through the years. 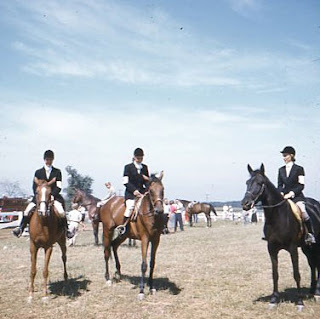 Here she is, above, at a horse show in York, PA in 1959. 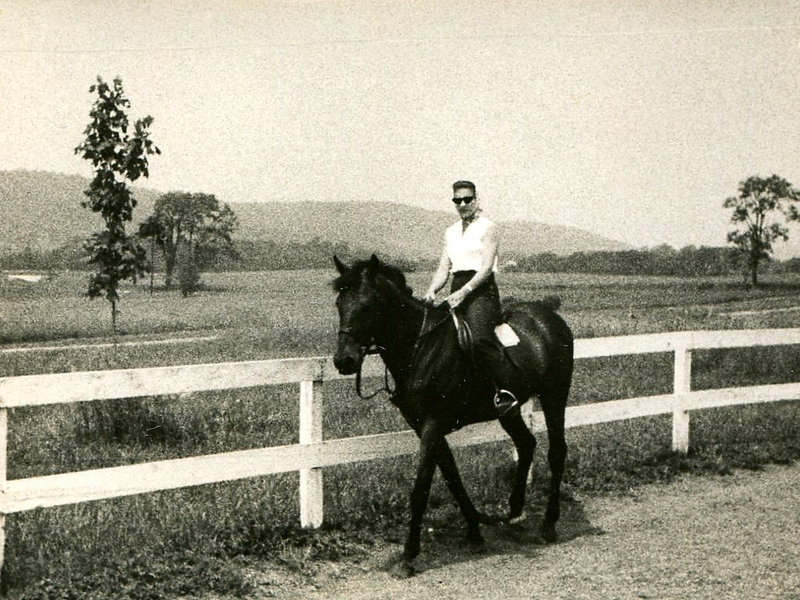 I was told that my mom was constantly riding the kitchen barstools when she was little, using belts as reins, so my grandfather finally took her riding in Florida on rental horses. Of course, like many, she was certain she "could ride" after a few rental horse experiences and convinced her parents to buy her Chaplain in 1953 when she was just 10 years old. 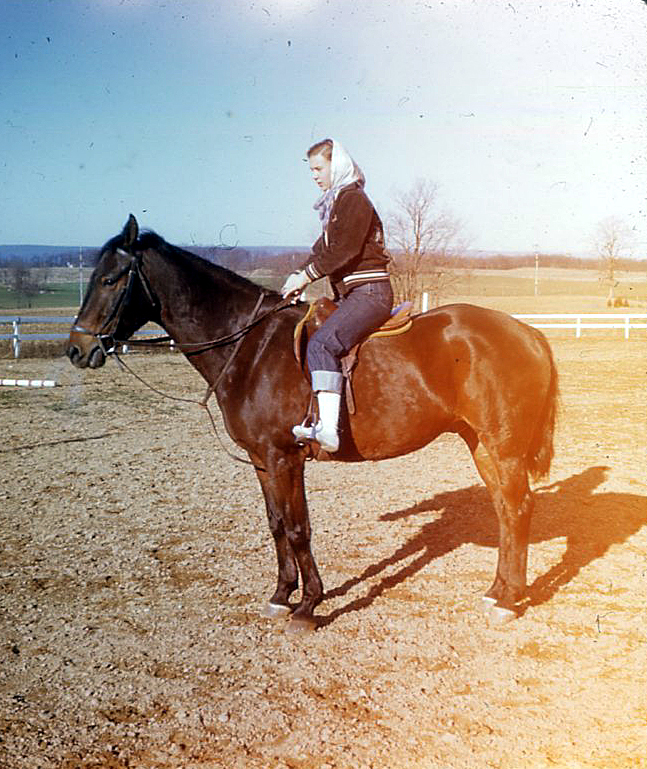 It was then that my mom's true days of riding and horsemanship began. I tell of Chaplain and his wise ways in this earlier post. 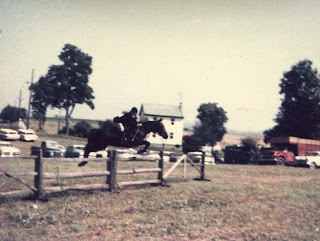 She really did learn to ride well and she showed in our local Junior Circuit in the Hunter and Jumper classes. 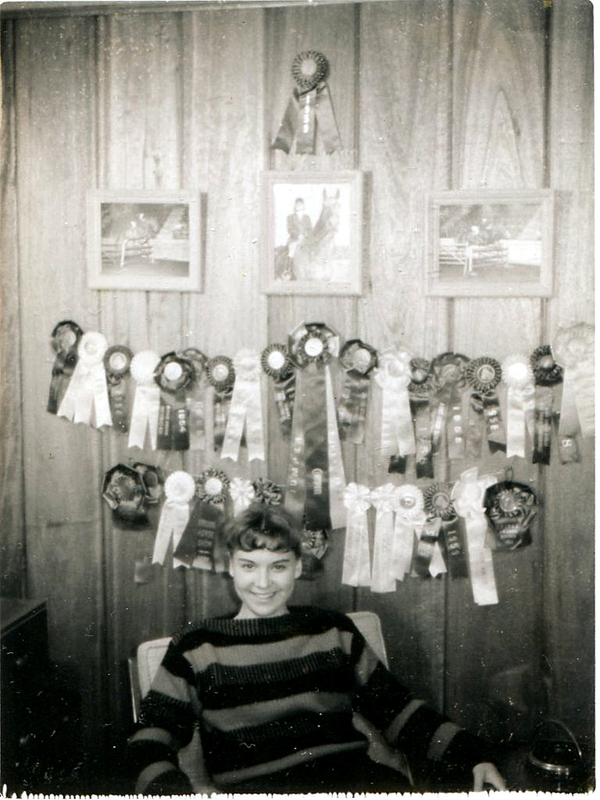 Here she is with some of her ribbons. 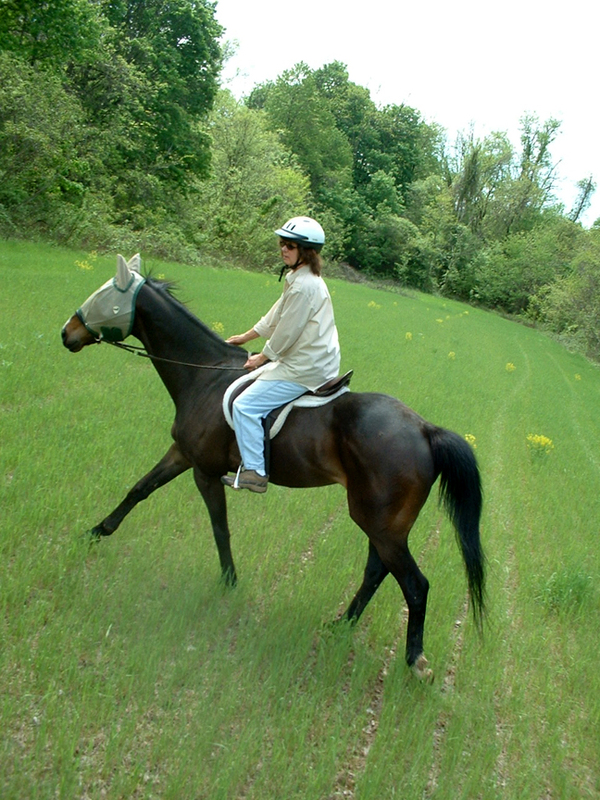 These two are of her on her Thoroughbred, Tam. 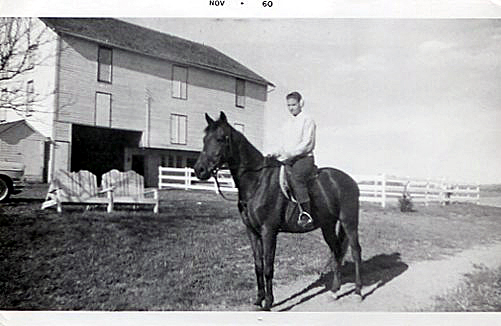 The one below was taken at our barn in November 1960. 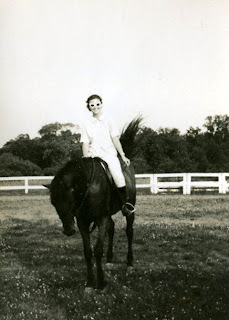 I don't know who she is on here, but I wonder, did she wear the sunglasses in the ring? This is at a lesson on the outside course at her trainer's farm in Dover, PA. She is riding Pep Talk. In 1961, my mom was invited to train with the Mexican Olympic team under the guidance of Col. Humberto Mariles Cortes. She has wonderful photos from that trip, but they are on the walls in her house and I knew she would notice if I took them! These two are of her on her Sovey-boy. I love this one below of her with her friends. I did a post about this before. Her Tam looks so Thoroughbred-y here, I think. 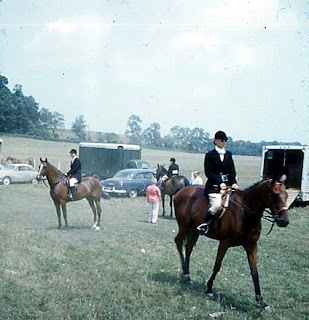 I have always liked this picture of her on Prize List on an outside course. I actually posted these two before, here, in the funny story about the elephant. Happy Birthday Mom! 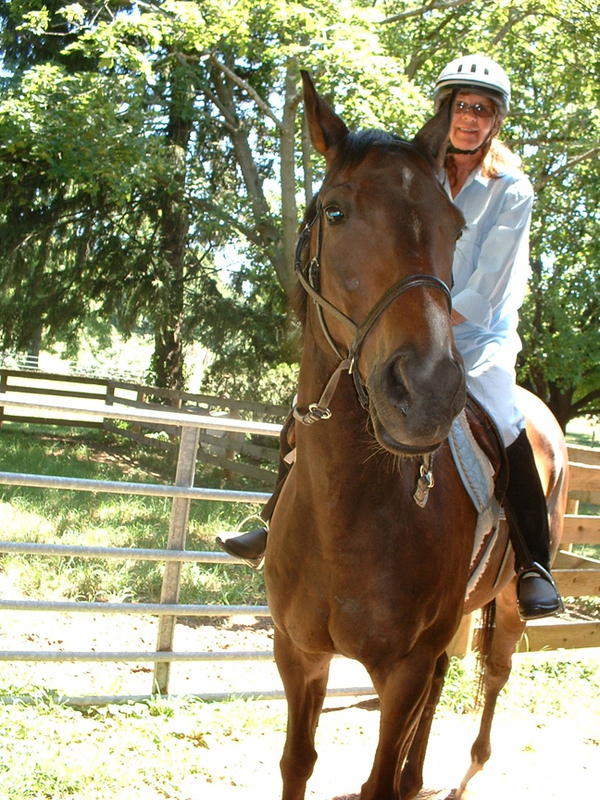 Thank you for sharing your passion for horses with me! Happy birthday to her! You are fortunate indeed to have had a horsie mom - mine was afraid of horses! Happy birthday to your mom! Those pictures are wonderful! Thanks for sharing. Happy Birthday to your Mom. She and I are the same age. 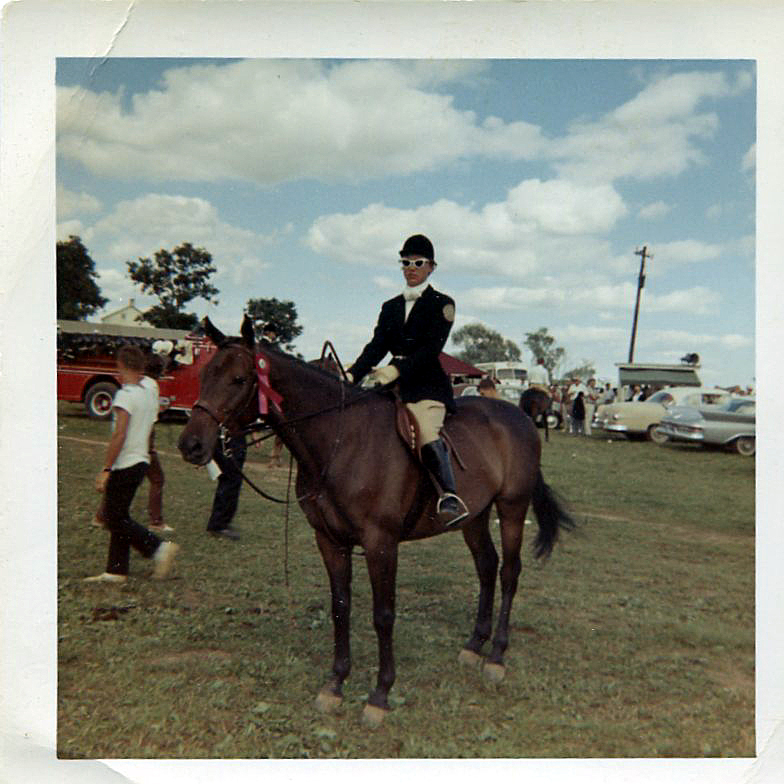 Still love horses too. Happy birthday to your mother, great photos too. What a nice tribute to your Mom who looks like a classy lady. Well done. Those photos were really fun to look through Juliette! Happy birthday to your mom, she must be leading a happy life with such nice equine companions! Happy (belated) birthday to your mom. Great pictures & accomplishments. How wonderfully sweet to share the love of horses with your mom! Happy Birthday, Honeysuckle Faire Mum!!! You look so glamourous and appealing in all of these pictures. You look like someone I would have wanted to talk to at those shows! 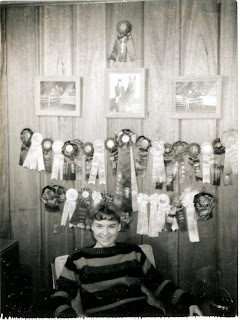 I cannot believe all those incredible ribbons! I hope that your family throws you a great birthday party to celebrate ALL of your accomplishments. I love this post. So nice to 'meet' your mother :) This is a really nice collection of riding pictures of her. No wonder you have such great horse sense. It's in your genes. What great photos, I'll bet your Mum loved this. 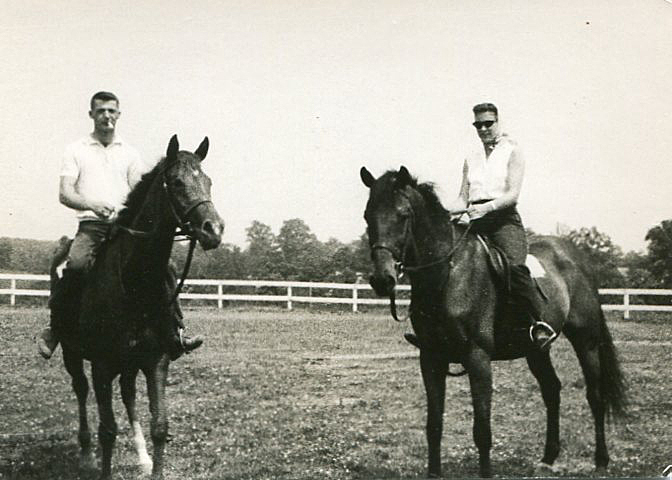 Stunning horses, and the sunglasses cracked me up! Juliette, Oh, what a wonderful set of photos of your sweet mom and her horse history. And how sweet that you and she share a love for horses! You have gotten such a unique legacy from her, haven't you? 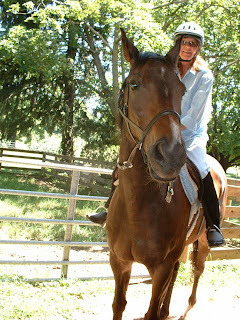 Wish her a happy birthday from all your horse blog friends!! Truly loved the pictorial history views!!! Your mom is quite the EQUESTRIAN! Her horse was special too. She shared such a passion with you towards the horses. Isn't it just the best to share the love of horses! 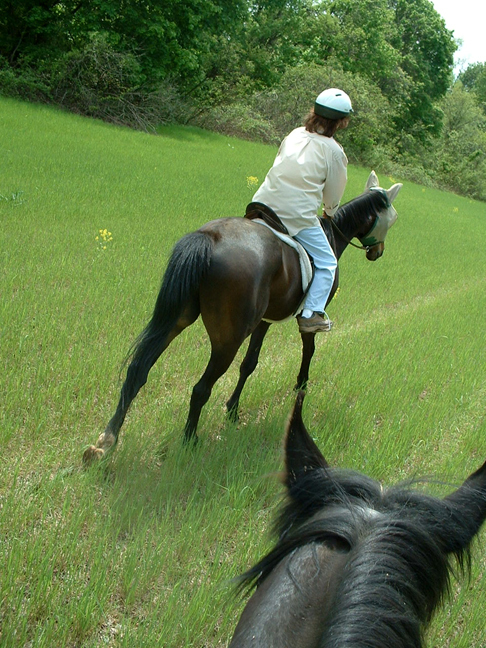 I almost got to ride with my mother , but she chickened out. Happiest of birthday years to your mum, and many more to come! !